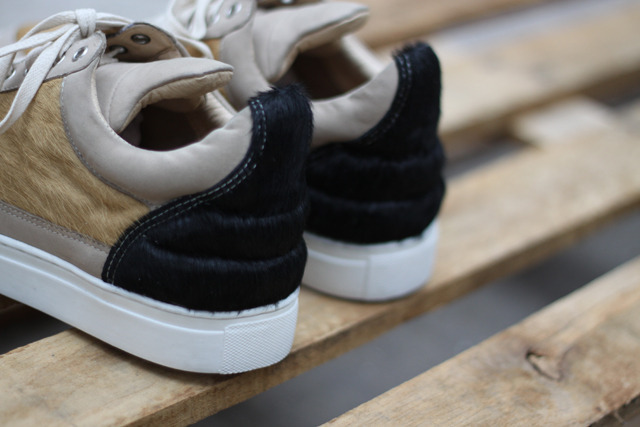 Amsterdam's Filling Pieces previews a unique ponyskin Low Top from its Pre-fall 2012 Collection. 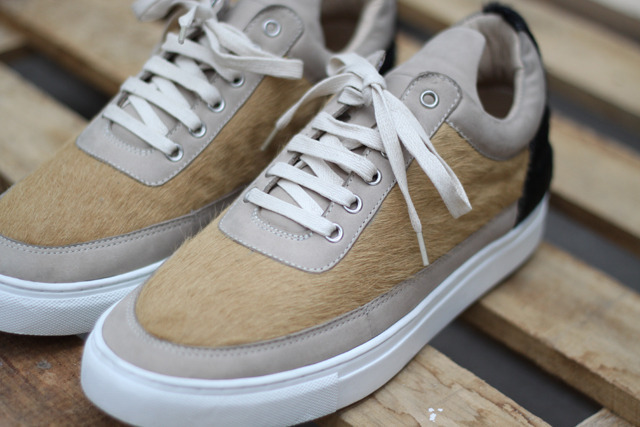 After the "Aztec" colorway seen earlier this week, Filling Pieces previews another Low Top model from its upcoming Pre-fall 2012 Collection, this time in "Lion Ponyskin." 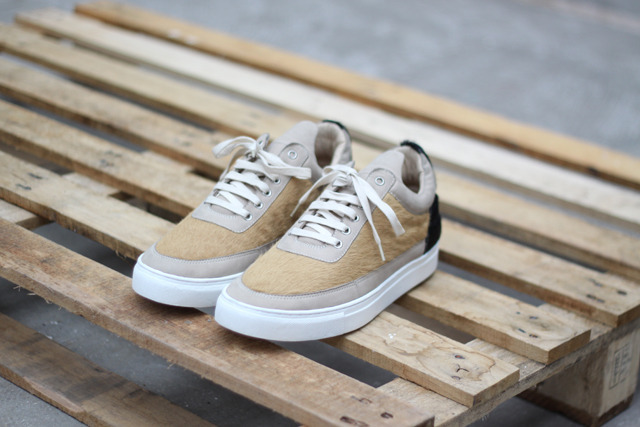 This Low Top features textured, light and dark ponyskin on the upper, mixed with beige nubuck, all on a white vulcanized sole. The combination of materials creates a shoe that looks clean and casual from a distance, yet rather wild up close. 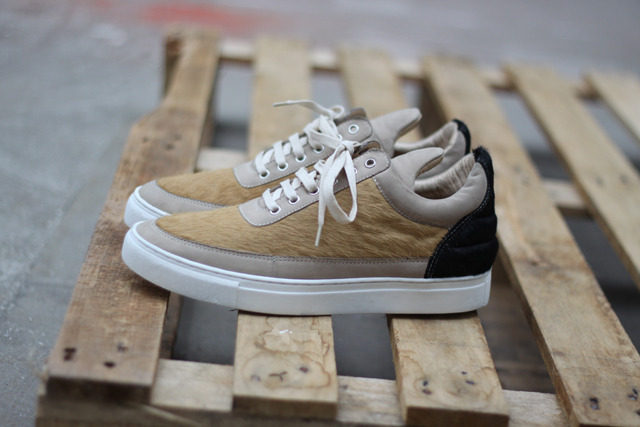 The "Lion Ponyskin" Filling Pieces Low Top drops this Saturday, April 28.